Again this year – contrary to predictions – there has been no early breakup of the sea ice on Hudson Bay and even though it’s the height of summer, there is plenty of ice throughout the Arctic to act as a feeding platform for polar bears. 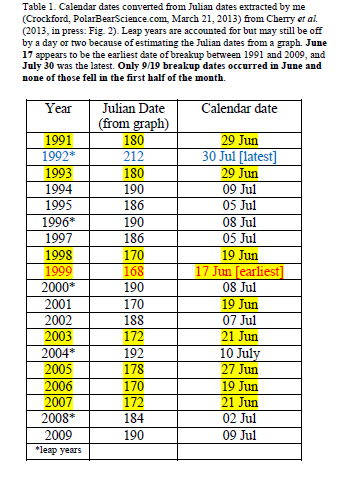 This makes it unlikely there will be a longer-than-average summer fast for polar bears again this year. Figure 1. NSIDC MASIE map for June 21, 2014. 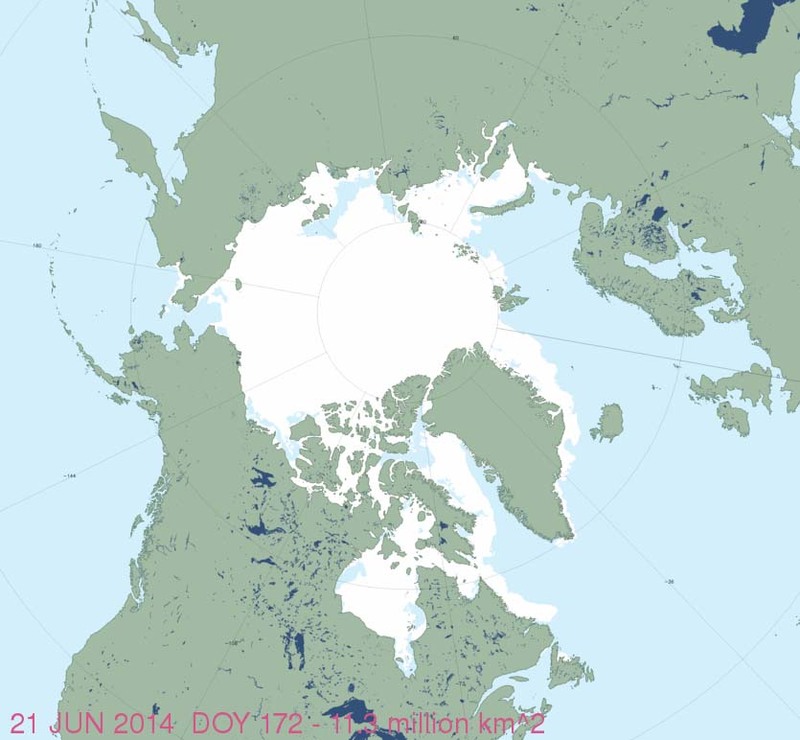 Sea ice maps around the Arctic for June 21 (and June 24, for Hudson Bay) reviewed and discussed below in relation to polar bear habitat — have a look. Polar Bears International has mustered the UK newspaper, The Guardian, to provide free publicity for a “save the polar bear” propaganda event coming up tomorrow, November 6. The “participants” of this webchat are Polar Bears International (PBI) employees. PBI is a lobbyist organization that uses its influence to pressure politicians and supposedly impartial scientific organizations, like the IUCN Polar Bear Specialist Group (PBSG), to make decisions that fit their agenda. The PBI rallying cry is “Save Our Sea Ice.” They are committed to promoting legislation to curtail supposed effects of anthropogenic global warming and are using polar bears as a tool to do so. Dr. Steve Amstrup is now a full-time, professional activist and spokesperson for PBI (“Chief Scientist and Vice President”), a job he took on after a long career as a polar bear biologist. Arranging “webchats” like this is part of the job he is now paid to do. Krista Wright has a Bachelors degree in Outdoor Education and has worked for NGOs for more than 20 years. She joined PBI in 2009 and is now the Executive Director (i.e., an administrator). 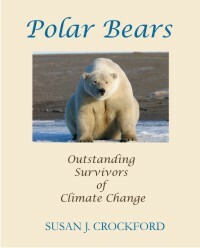 She is described as “a passionate conservationist who is deeply concerned about the effects of global warming on polar bears, the Arctic, and the planet.” She brings emotion to this event, not science. According to the National Snow and Ice Data Center (NSIDC, Sept. 20 report), the annual sea ice minimum extent was reached on Sept. 13, 2013. At 5.10 million square kilometers, this year’s low was a whopping 1.69 million square kilometers above the minimum extent for 2012 (which was the lowest since 1979) and well within two standard deviations of the 1979-2010 average. (Two standard deviations: “Measurements that fall far outside of the two standard deviation range or consistently fall outside that range suggest that something unusual is occurring that can’t be explained by normal processes”). The minimum extent for 2013 is virtually indistinguishable from the minimum for 2009, which was 5.13 million square kilometers. 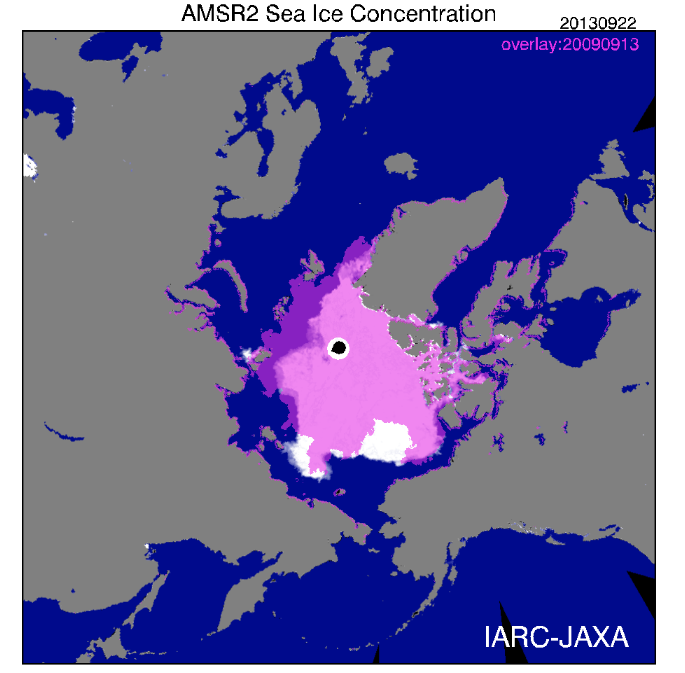 The ice was distributed a bit differently in 2009 – more in the east and less in the west — than it was this year (see Fig. 1 below). Figure 1. I used JAXA to plot the date the 2013 minimum was reached (September 13, 5.10 million square kilometers, white) with an overlay (purple) for the same date back in 2009 (September 13, 2009, 5.13 million square kilometers), when that year’s minimum was reached. Areas of overlap are pink. You’ll know from previous discussions here that the annual minimum reached in late summer has little impact on polar bear health and survival (see excellent summary of the evidence for that here). 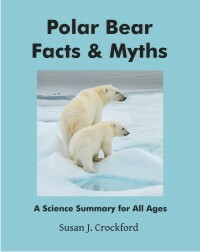 What matters most to polar bears is the presence of ample ice in spring and early summer (March-June), which is their critical feeding period. But after the fast that many polar bears endure over the height of the summer, they are eager to get back onto the ice and resume hunting. When in the fall does that become possible? I wondered what the similarity in extent for 2013 and 2009 might tell us about polar bear habitat development over the next month or so. In other words, what might polar bears this year expect in the way of sea ice development by say, the end of October? When might they be able to start hunting? “The Arctic” is a bit hard to define. While the Arctic Circle works as a good boundary for some purposes and the 100C isotherm for July for others, neither work for polar bears because several subpopulations live well south of these limits (Fig. 1). In the east, Western Hudson Bay, Southern Hudson Bay and Davis Strait are all located well south of the Arctic Circle and the first two (and half of Davis Strait) are beyond the 100C July isotherm as well. In the western Arctic, the Chukchi Sea subpopulation is within the 100C July isotherm but at least half of its bears reside south of the Arctic Circle (Fig. 1) in the Bering Sea (see previous post here). Unique amongst all of these is Southern Hudson Bay – all of its polar bears make maternity dens and/or spend the summer south of 600N. “Further south” in the Arctic usually means warmer, with open water present more weeks every summer, sea ice for fewer weeks over the winter. 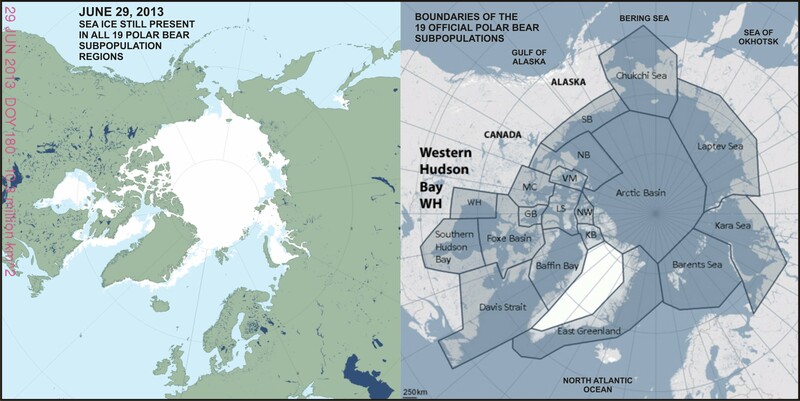 So, shouldn’t the bears of Southern Hudson Bay be already suffering more harm from global warming than virtually all other subpopulations, including those in Western Hudson Bay? After all, Western Hudson Bay bears appear to have experienced a statistically significant decline in numbers, among other effects (Regehr et al. 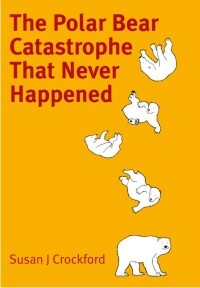 2007; Stirling and Derocher 2012) — surely Southern Hudson Bay bears are doing worse? You’d think so, but they aren’t. Figure 1. Boundary limits for “the Arctic” (top map) such as the Arctic Circle (dashed line) or the 100C isotherm for July (solid red line) would not include several polar bear subpopulations that live south of these. UPDATED October 28, 2014: Reference added, Obbard et al. 2013 (aerial survey results). Spring is the busiest and most important season for polar bears: it is the most important feeding period and it is also when mating occurs. The fat that polar bears put on during the spring and early summer is critical for their survival over the rest of the year and for females, determines whether they can successfully produce cubs the following year. Mothers and new cubs emerge from their winter dens in late March to early April and those who have chosen to den on land soon head towards the sea ice. For a fabulous photo of a polar bear female and her two young cubs, just out of their winter den, feeding on a bearded seal pup, pop over here. All other bears, including females with older cubs, will already be on the ice, feeding on the first newborn ice seals of the season and any other seals they can catch.